Utility Bills– The Village of Arcanum’s special contracts for electric and water service provide for an initial 2-year, 10% discount on both utilities that service current or potential customer who may choose to locate or relocate their business with the Village. To be eligible a business must not generally serve the economic welfare of the Village. These special contracts will be offered to assist in the creation/retention of jobs and improve the economic welfare of the Village of Arcanum. Terms and Conditions are negotiable. Tap Fees– The Village of Arcanum is willing to waive water and sewer tap fees for customers who may choose to locate or relocate their business with the Village. To be eligible a business must not generally serve the economic welfare of the Village. These special contracts will be offered to assist in the creation/retention of jobs and improve the economic welfare of the Village of Arcanum. Terms and Conditions are negotiable. Lateral Installation– The Village of Arcanum proposes to install water and sanitary sewer laterals at no cost to business that assist in the creation/retention of jobs and improve the economic welfare of the Village of Arcanum. Terms and Conditions are negotiable. The Village of Arcanum can help its customers to utilize their power efficiently. The Village is not only your provider of local municipal electric; we are your partner in maintaining efficient operations. We want our businesses to be profitable, and will do our part to assist businesses in identifying ways to most efficiently utilize their energy sources and reduce their energy costs. The Village can offer incentives towards projects that will reduce a customers energy cost. 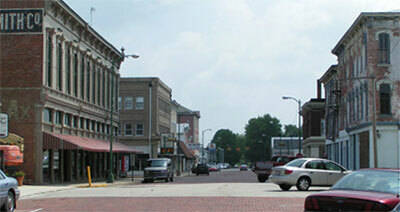 The Village of Arcanum can provide an Income Tax Grant to companies creating full-time jobs within the Village. The maximum grant will be $100,000 annually for any company. Companies may receive a grant equal to 15% of Arcanum Village income tax collected for every $500,000 in new payroll. This grant can be awarded for a period of 5 years. Companies may receive a grant equal to 15% of Arcanum Village income tax collected for every $1 million in new payroll. This grant can be awarded for a period of 10 years. Darke County offers Revolving Loan Funds (RFL) to encourage the retentions and expansion of businesses within Darke County. These loan funds enable Darke County to provide stabilization to the counties employment and economic base. The RLF programs in partnerships with local lending institutions provide below market financing for projects which otherwise may not be feasible to the owner(s). Eligible borrowers include manufacturing, wholesale, retail, and service businesses located in Darke County. Eligibility requirements do apply. Eligible for start ups and existing small businesses. For more information about the Village of Arcanum/Darke County contact Mike Bowers, Darke County Economic Director at (937) 548-3250.